magpie | Thoughts On "S"
The book S. is a book within a book. The “outer” book is the story of Eric and Jen, two people who are reading the same book and writing their thoughts on it and their newfound relationship within the margins. This book, Ship of Theseus is the “inner” book, and tells the story of S and his struggle to find his identity and to connect with Sola. There is another book between the outer and inner books – the story of F. X. Caldeira and V. M. Straka. We know for certain there is attempted communication from FXC to VMS through the footnotes and ciphers, and we are reasonably certain that VMS communicated with FXC through the story itself and in the unobtainable notes these two exchanged in the margins of the original manuscript. Eric and Jen are two strangers who first connect while reading the same book, and they exchange written words for many days before they actually meet. FXC and VMS are two strangers who first connect while exchanging letters and notes in the margins of the manuscripts of over a dozen books, culminating in Ship of Theseus. This final book blurs the lines between author and translator, because we cannot tell which portions of the text were written by FXC and which were written by VMS. It is almost as if Ship of Theseus is really just two people having a conversation between each other in story form. Consider pages 195-196, which has two disputed paragraphs pointed out by Eric and Jen – one obviously written by VMS and then one apparently inserted by FXC. And the two paragraphs take place while the two characters in the book hold hands – their fingers interlaced – a symbol for the interlacing words of FXC and VMS that make up Ship of Theseus. And, of course, Chapter 10 is in full controversy over whether the words there are by FXC or VMS. S and Sola first connect while Sola is reading a book called The Archer’s Tales. Strangers connecting over, or even in books – this is our context. In fact, there is a fourth story that serves as the outermost book to them all – and that is the story of those of us reading S. We are connecting with each other while reading it. 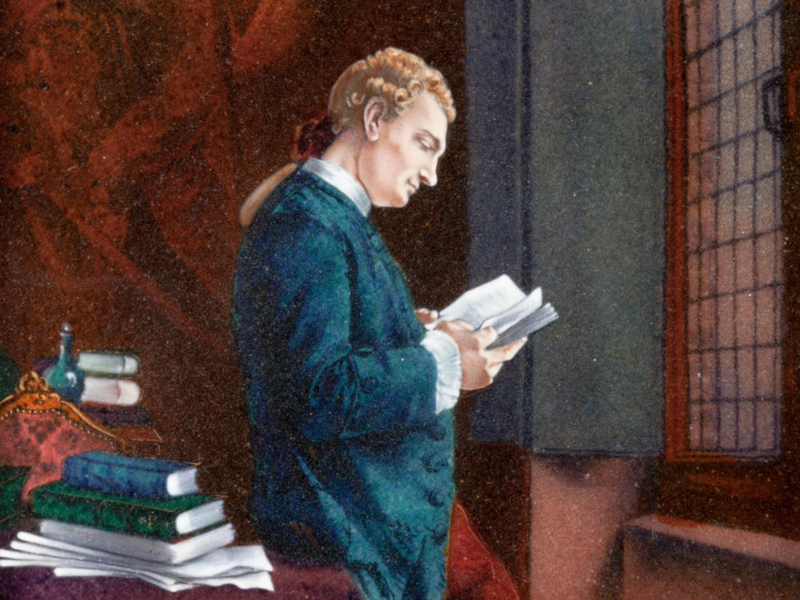 You and I just connected because we are both reading S. I have connected with many, though we have never met, as we exchange tweets and blog comments on S. – our own forms of marginalia. These four stories are like concentric circles. Each circle contains two strangers who connect through the written word. We readers of S. discuss the relationship of Eric and Jen. Eric and Jen exchange notes about FXC and VMS. FXC and VMS communicate back and forth about S. and Sola. S. and Sola have a common interest in The Archer’s Tales. 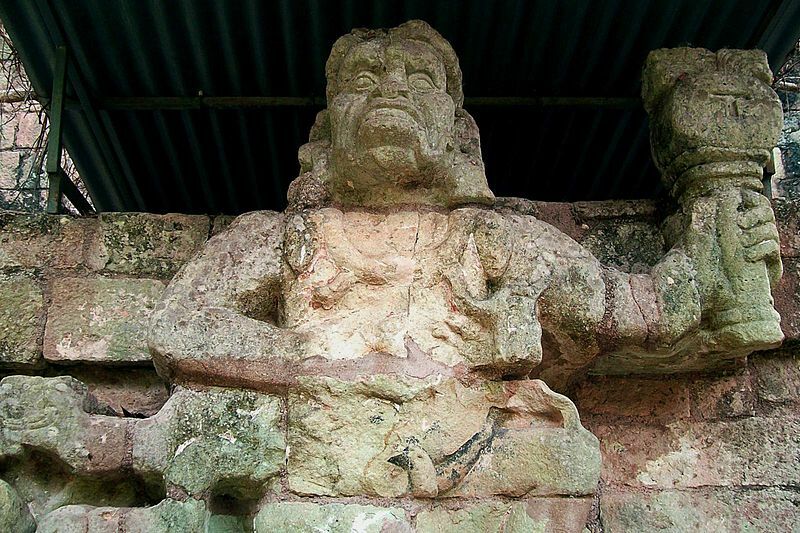 The Archer’s Tales is the innermost circle – the center. 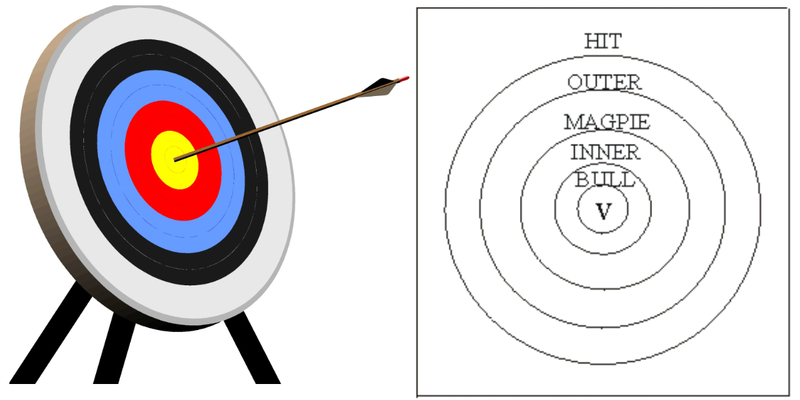 It is the bullseye of the target created by this series of concentric circles. It seems by design that the corresponding circle of an archer’s target is called magpie and Straka is Czech for magpie. And it seems that we are being led on a journey from the outermost portion of the target to the bullseye – The Archer’s Tales. The author of The Archer’s Tales is Arquimedes de Sobreiro. Sobreiro is the Portuguese term for the cork oak tree, also known as quercus suber. This tree, as any typical tree, has a trunk made up of tree rings, where we find our concentric circles again. The outermost circle of a cork oak tree is the cork bark, where we get the corks used in wine bottles. Eric Husch writes in the margins that he worked at the Mallon Planetarium of Pollard State University (p209). On the same page, Eric writes that he thinks Moody has a copy of The Archer’s Tales. We also have the Eotvos syndrome (see p3, Fn1), where disorientation increases the victim gets to the equator, and the implied converse, where disorientation is gone entirely at the furthest point from the equator – the South (or North pole). Given the numerous references to the South pole in S., this is more likely. A view of the earth from the bottom, where the equator is the outside of the circle and the South pole is the center, we have yet another set of concentric circles. And let’s not forget the most blatant form of concentric circles – the first thing we see when we slide “S” out of its box. 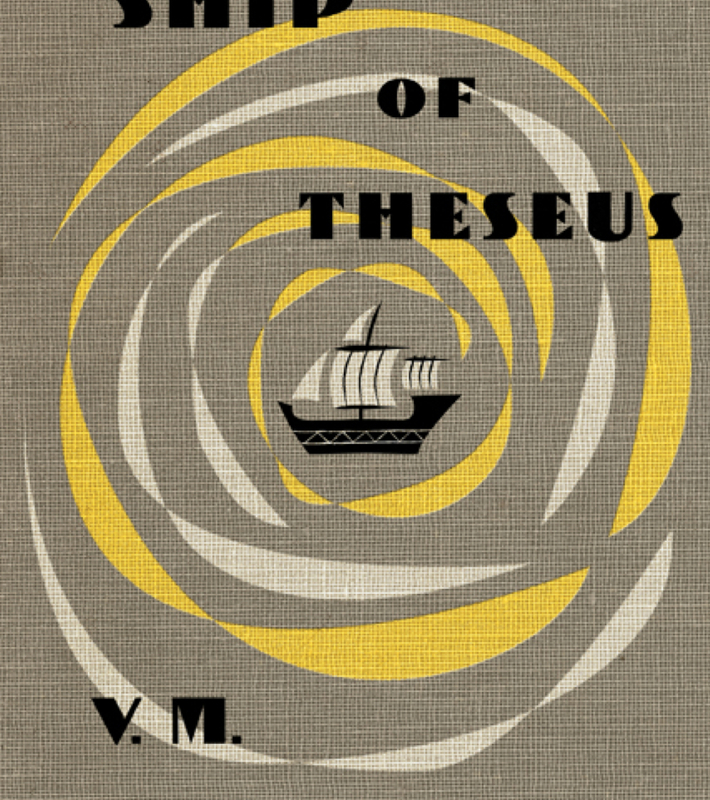 The cover of Ship of Theseus, with the ship at its very center. And, finally (but surely not exhaustively), we have Maelstrom’s spyglass. We see at the end of Ship of Theseus that S. finds it and is now able to see clearly through it. And as they do so, S. will pick up Maelstrom’s old spyglass from the chart-room, where it was hidden under the blankets on which the blank-stained monkey sleeps and snores. S. slides the spyglass open and looks through it, seeing a perfect realization and resurrection of the xebec with what appears to be he and Sola at the wheel. The final sentence of the entire book mentions that S. slides the spyglass closed. 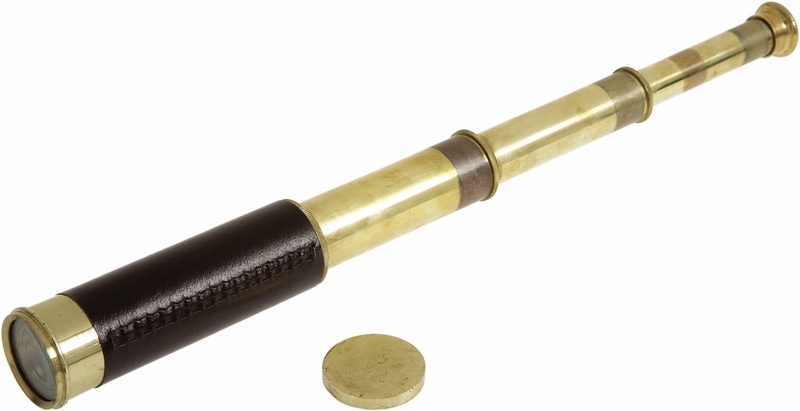 A spyglass, when closed and observed from the eyepiece end, reveals a set of concentric circles. When these circles in two dimensions are expanded to three, the spyglass “comes to life” and reveals what cannot ordinarily be seen. A tantalizing clue? 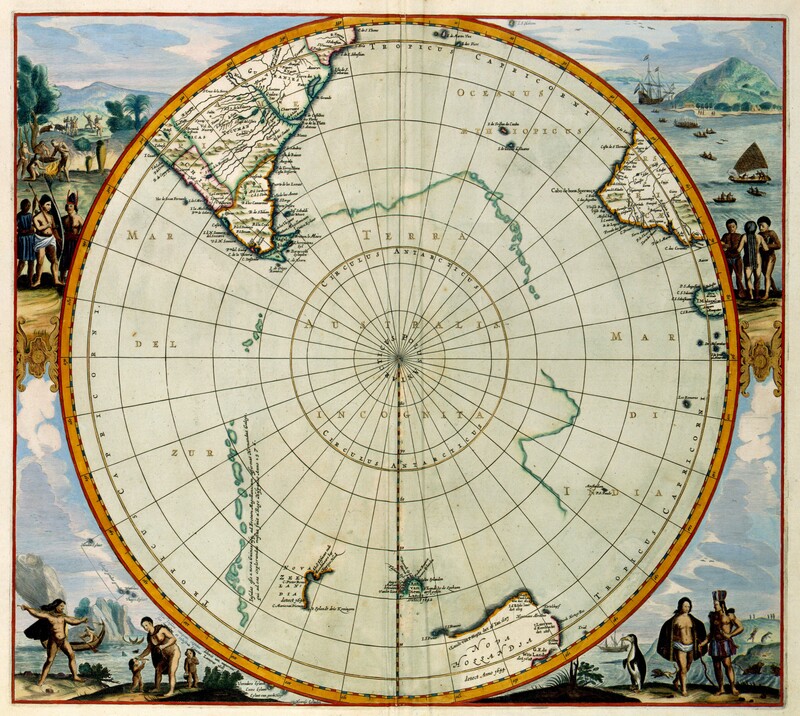 We can’t seem to escape these concentric circles – an archery target with a circle labeled magpie, a cork oak tree named Sobreiro and the man who invented the first planetarium, Archimedes. A view from the South Pole. The book’s cover. The spyglass. The symbolic imperative seems clear – we are to move inward to the innermost circle. The bull’s eye. The Archer’s Tales. S. and Sola: Two Readers. Two Writers. The beautiful thing about our concentric circles is that they are all the same shape. Each move inward may have a different label, but it still has the same characteristics. Each of our circles in this case is represented by two strangers connecting and forming a relationship purely through the written word. And their written words are initially discussing the written words of the next circle inward. If our concentric circles are to remain the same shape as we move inward, then Sola and S. must not meet initially face to face. They must meet purely through the written word because they are both reading the same book. When we first meet Sola, she is reading The Archer’s Tales. We must conclude, then, in the face of initial confusion, that S. is also reading this book and they do not meet face to face. Makes no sense? Consider this. When we (and S.) first meet Sola, she is reading. And she is doing so unnoticed in a public tavern filled with people. Why is it that no one but S. notices her? Could it be that Sola is not really sitting in the tavern, but she is reading about the tavern in The Archer’s Tales. She is fully engrossed in the story, and the tavern and its characters are merely a “physical” manifestation of what she is reading. She then “notices” S. in the tavern and S. walks over. She notices S. not because he is actually in the tavern, but because he, too, is reading The Archer’s Tales. Picture this. You find a book called The Archer’s Tales and you pick it up to read. You turn a page and read about a tavern filled with people. And then you notice that someone has written in the margins – two people in fact. Two styles of handwriting. And you read a conversation between a man and a woman who are making their first connection with each other by leaving these notes in the same book. So now one page tells two stories, but they intermingle so much they become one. The emerald green dress of Sola in the tavern (p17) is really the length of green ribbon serving as a bookmark in The Archer’s Tales (p243). The book “S” is one book, but it is Ship of Theseus and Eric and Jen’s margin notes and FXC’s and VMS’s enciphered exchange. What if Ship of Theseus (itself a written conversation back and forth between FXC and VMS) is one book presented in a single typeface, but in reality it is two stories? What if it is The Archer’s Tales and the margin notes of S. and Sola, so blended together that we cannot consider one apart from the other? Remember Stenfalk? He said that he remembered reading the story of the K– people and their caves and drawings in The Archer’s Tales (p149-150). Shortly thereafter, S. finds himself in those caves staring at those drawings. Why? Because he is reading about it. Stenfalk also tells a story he remembers about a place called The Winter City (p148). Later, S. finds himself in the Winter City. Why? Because at that time he is reading about the story that Stenfalk remembered. Sola meets him in the Winter City by finding his margin notes there and reconnecting with him after an extended absence. S. and Sola write to each other in story form in the margins of The Archer’s Tales while falling in love and longing to connect physically. This intermingled story is The Archer’s Tales and its marginalia. This creates Ship of Theseus (including the foreword and footnotes), which is really FXC and VMS writing to each other, falling in love and longing to be together. This book plus its marginalia by Eric and Jen form “S.,” as they fall in love and long to connect in the real world – which they finally do. This is “S.” – the tale of an archer who at first can only hit the outer circle of the target, if even that. But after much practice, his aim becomes true and his arrow flies closer to the bull’s eye. Perhaps this theory is close. Perhaps it is way off center. You decide.